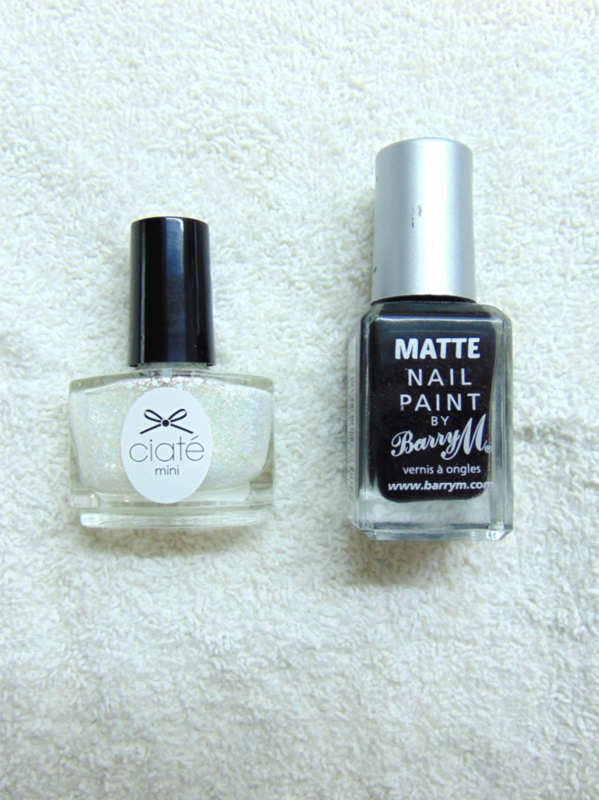 I used a Ciate polish in Snow Fall over the top of Espresso by Barry M. I packed Snow Fall onto the bottom of the nail, wiped all the excess off the brush back into the bottle, and then kind of spread small amounts of the polish halfway up the nail. 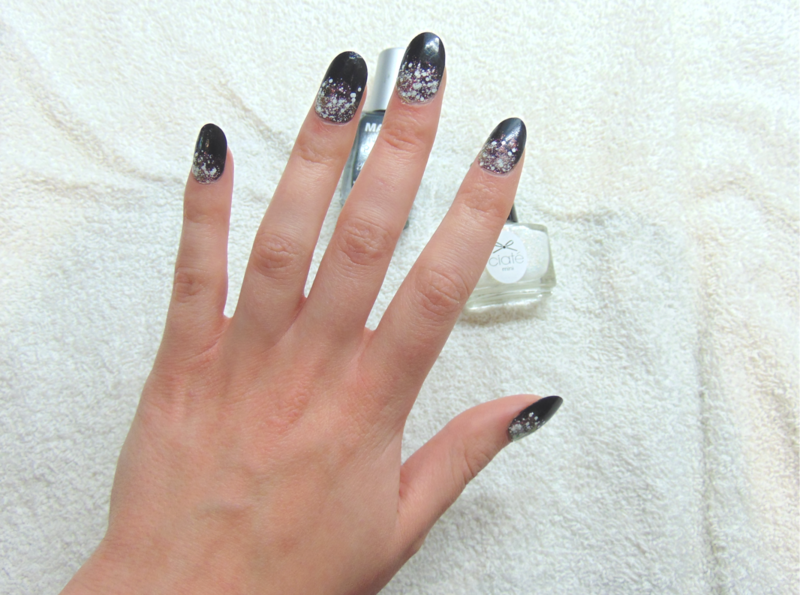 I wasn't really liking the Matte and glitter together, so I put a layer of Barry M top coat over it all. I think I prefer glossy to matte anyway. I am also still yet to find a matte polish that doesn't look streaky. Any suggestions?